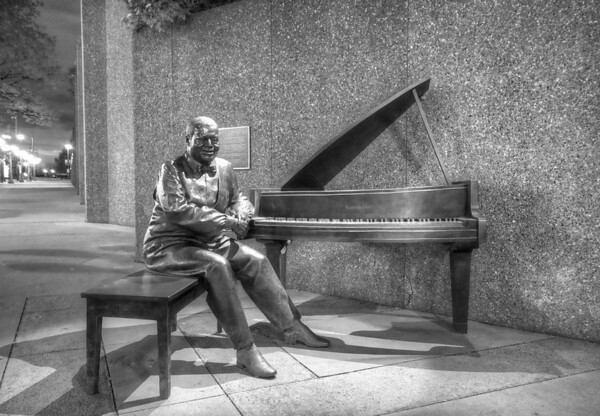 The Oscar Peterson Sculpture in Ottawa, ON Outside the National Arts Center in Ottawa, ON is this sculpture of Oscar Peterson. When I was in Ottawa for the tulip festival this Spring we were walking down the street the first night there and heard a piano playing in the distance. At first we though there really was a pianist in the distant, but upon getting closer we found he didn’t move too much.